I didn't know what to expect from a dairy free yogurt alternative, but these were delicious! They come in 6 different flavors, made with real fruit and has 6 grams of plant-powered protein per serving. I loved how smooth and creamy these were. And as for being dairy free, they are also free of cholesterol as well as artificial flavors and colors. Because these are made from cultured soy, Silk Dairy-Free Yogurt Alternative is also vegetarian, gluten free, carrageenan-free, low in saturated fat and a good source of calcium and vitamin D.
Aside from enjoying these straight out of the container, I also have a habit of stirring in goodies to make it even more decadent! After a visit to Door County, Wisconsin this past summer, I made some cherry compote that I stirred in for a quick dessert! Any fruit jam or compote would be a delicious ingredient to stir into Silk Dairy-Free Yogurt Alternative for a quick dessert! 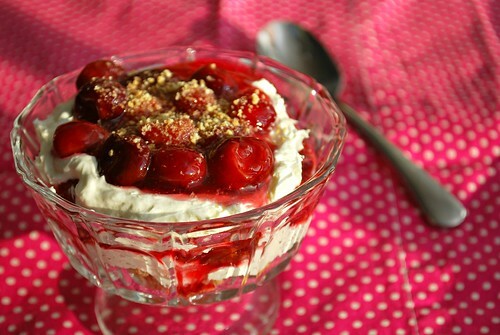 In a small saucepan over high heat, combine the cherries, sugar and water. Bring to a boil and stir until all the sugar is dissolved and some of the liquid has evaporated. Meanwhile, combine the remaining ingredients in a small bowl. When the cherries have come to a bowl, stir in the cornstarch mixture. Continue cooking until the mixture boils and starts to thicken, about 1 minute. Remove from heat and cool. Store in the refrigerator. 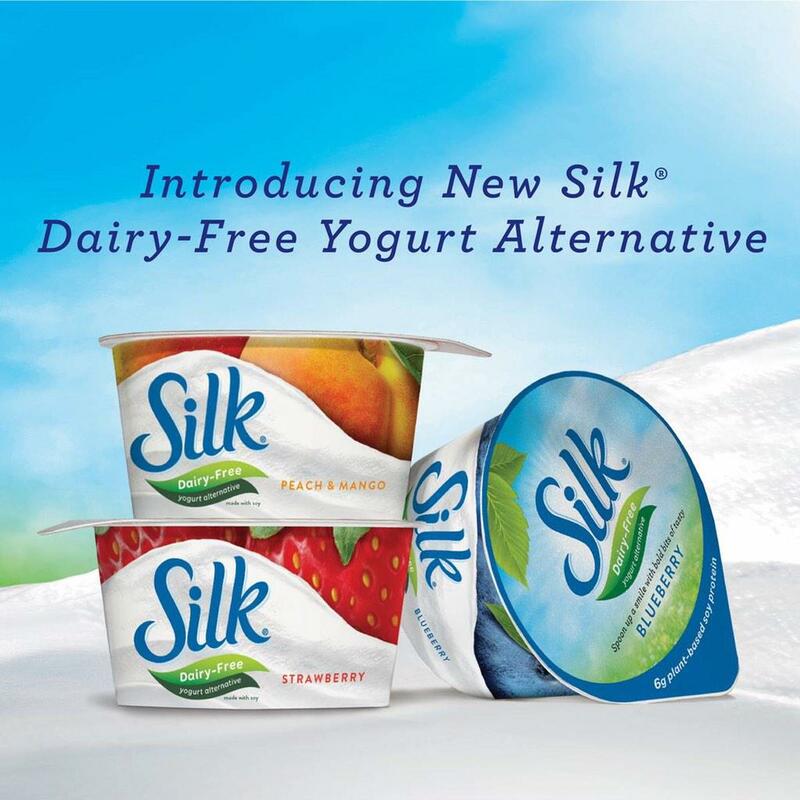 Enjoy over Silk Dairy-Free Yogurt Alternative!